Add an extra touch of sophisticated glamour to an occasion wear outfit with the Rosa coat from Aideen Bodkin which would look great worn with the matching Galax dress or a colour block number. Accessorise with minimal jewellery and high heels. 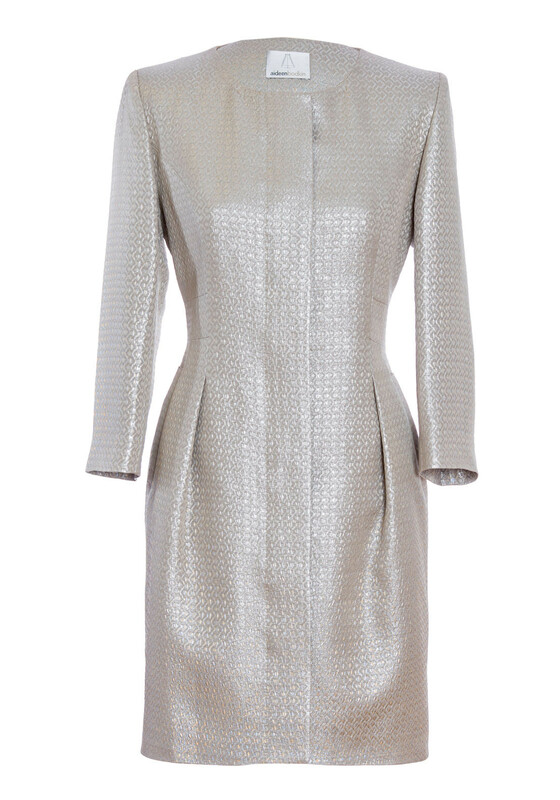 Designed with a tailored, fitted shape and made from luxurious metallic fabric with an embossed pattern throughout. Cropped sleeves, side pockets and a concealed button placket completes the look.